The Barefoot Resort complex is made up of 4 golf courses – Love, Norman, Fazio and Dye. The Dye Course is the only one of the 4 that is semi-private. When the designer, Pete Dye created this course, he designed a course that would remain in the mind of the player for a lifetime. In addition to being a stunning course in the eye of the golfer, the Dye course at Barefoot Resort is known as a typical Dye design with his famous pitfalls for those errant shots that fall off line. Both visually appealing and treacherous, this Myrtle Beach golf course is not one that you will forget. When you add the Barefoot Resort Dye Course to your Myrtle Beach golf package, you will be getting a course that is full of native grasses – something that Pete Dye believes very strongly in. The GN-1 Bermuda grass fairways are a hybrid grass, designed by another Barefoot Resort course – Greg Norman. The roughs are just that and consist of a mix of Zoysia and Centipede grasses. The greens and approach areas are Champion UltraDwarf and Tifdwarf Bermuda grasses, respectfully. The Barefoot Resort Dye Golf Course is a long course – toping out at over 7300 yards and a 72 will get you around the course at par. Of all the 4 Barefoot Resort courses, the Dye Course, which opened in 2000, is known as the longest and most difficult – this can also be said of the entire Myrtle Beach area. 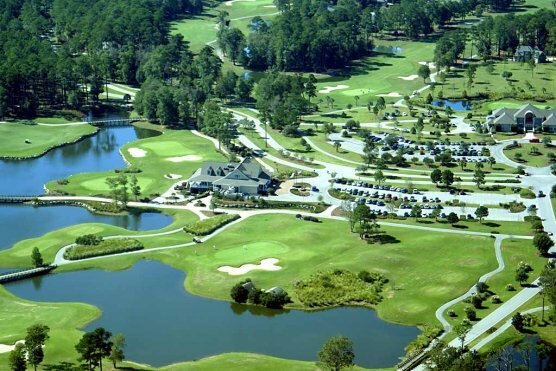 This Myrtle Beach golf course is known for hosting the Monday after the Masters event in early April, as well as one of the 3 at Barefoot to be featured on the reality show “Big Break” which ran on the Golf Channel. The course is manageable if you play from the appropriate tee box – of which there are 5 to choose from. Staying out of the estimated 200 bunkers that are on the Barefoot Resort Dye Course is important, so you will have to strategically play your shots. This course is made for the skilled thinking player that can shape and place their golf shots. Even if only a quarter of the bunkers are actually in play, the rest are designed to make your shots visually menacing. The signature hole of the Barefoot Resort Dye Course is the 18th hole – a 471 yard, par 4 that doglegs left to find a pond that will remind you of the final hole of another Dye design, TPC Sawgrass – home of the Player’s Championship. What a great way to end a memorable round of golf at Barefoot Resort Dye Course. 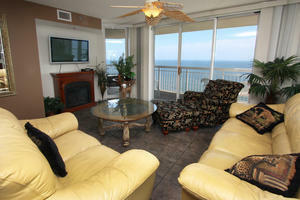 Give us a call and make sure you have this golf course in your Myrtle Beach golf package.